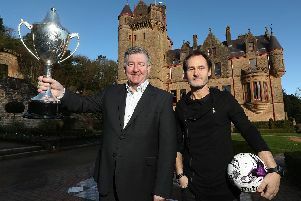 Manchester United legend Norman Whiteside feels the buzz is back at Old Trafford again. The resurgent Red Devils have won eight games on the bounce under caretaker boss Ole Gunnar Solskjær and Whiteside feels they are 'back on track' after a turbulent spell under previous boss Jose Mourinho. Despite the impressive run of form though Whiteside, who scored that memorable FA Cup winning goal against Everton at Wembley in 1985, feels the Norwegian won't get the job full time at Old Trafford, unless his amazing winning streak continues. 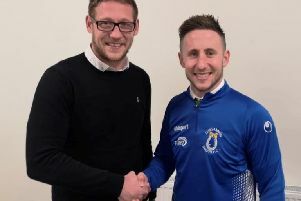 "We're on a great run at the minute, but I'm not sure if the club really have Ole in mind, unless he goes out and wins every game between now and then," said Whiteside at the SuperCupNI sponsorship announcement at Belfast Castle on Monday. "I'm sure he'll be aiming to win every game and give the board something to think about it. "But things are on the up, you feel a buzz around Old Trafford these days. "It's been a hard few years, but we're back on track again. You look forward to see some decent stuff again."